High-end stainless steel, forged massive bolster, steel rivets, forged full tang: this steak knife set benefits from a very high quality manufacturing that gives it an unrivalled sturdiness and a very high resistance to wear. This Made In France knife can cut and dice all pieces of meat with great efficiency. 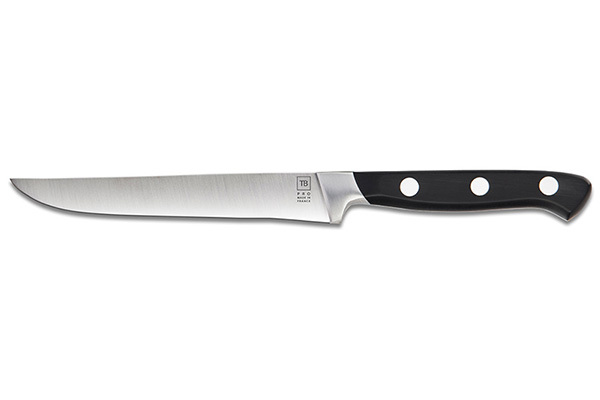 Thanks to his perfect knowledge of kitchen and table knife making, the French culter TB matches all daily needs of every cook. The Forgé Traditionnel steak knives benefit from a family know-how passed down through generations. 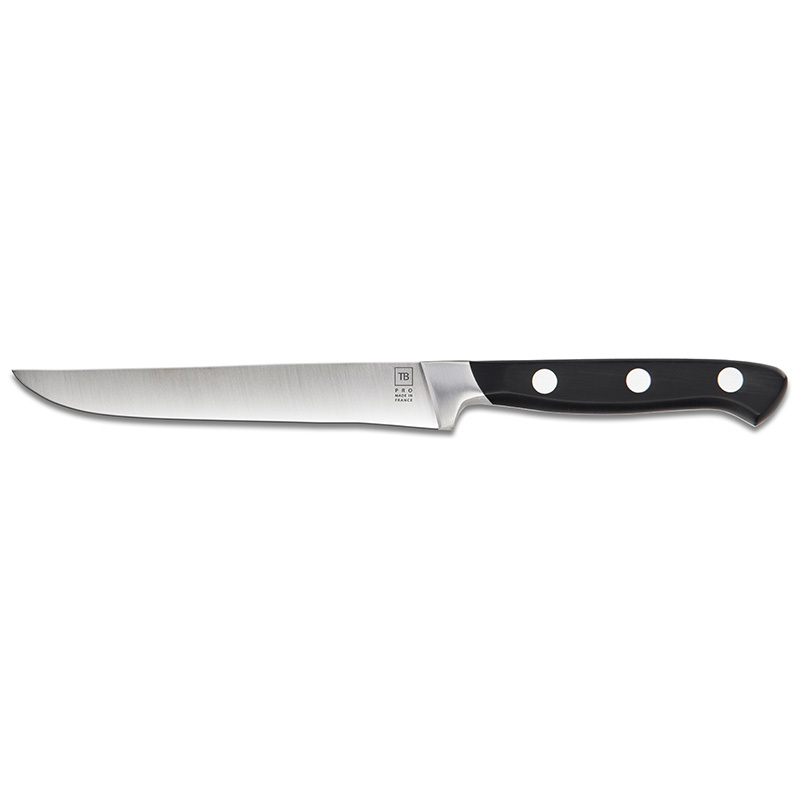 This Made In France steak knife set consists in 6 full tang blades, which allow you to cut with an infinite easiness.